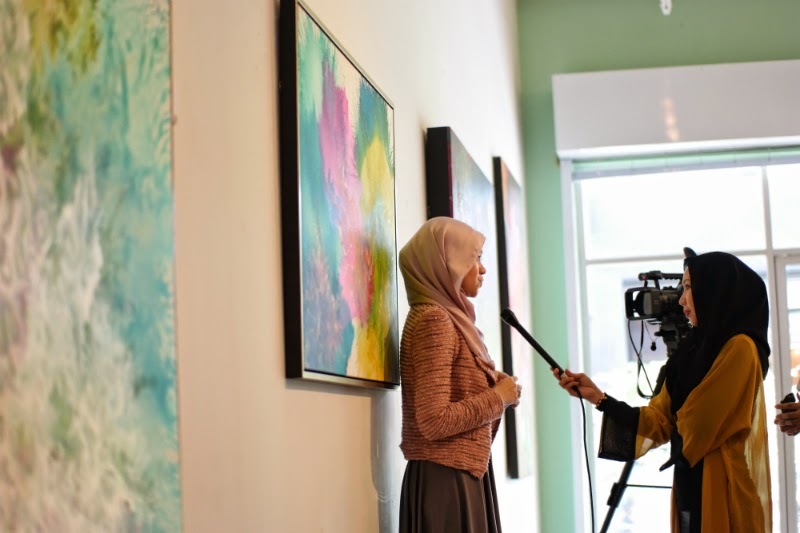 As you all know, Safiyya is a television programme for young and “modern Islamic ladies”. A TV magazine on lifestyle, career, fashion, beauty, personality, news and current issues to make ladies who watch it feel inspired and empowered. In mid 2011, they interviewed me at my office on my career as a lawyer, my blog and also my interests in the arts and fashion in the personality and lifestyle segment. (Watch here and see here). 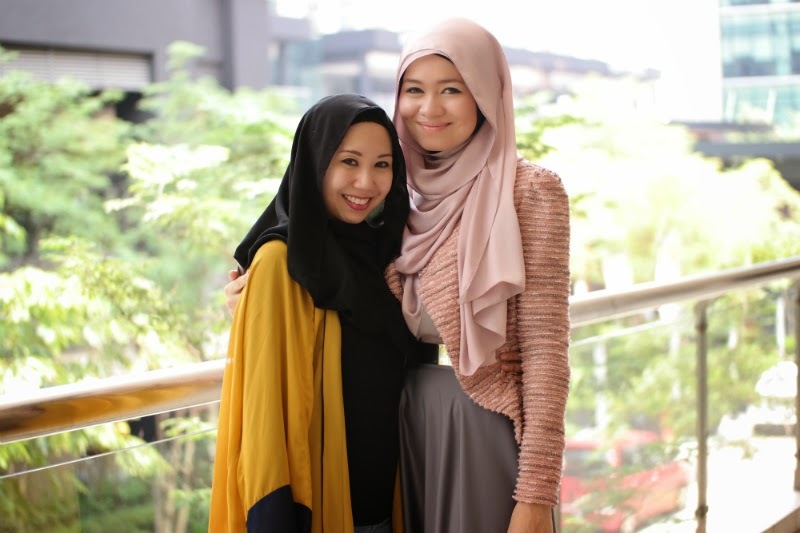 In 2012, they interviewed my cousin Putri Azalea of Pu3 Designs at her boutique at the Intermark and she asked me to model her designs and pieces for Safiyya. Had fun wearing so many of Pu3's gorgeous pieces. In early 2013, they wanted to interview me on a personal matter involving my experience at the hospital but at the very last minute I couldn’t do it. When Safiyya contacted us to have a shoot on the skirts from ARNADIA by GAYA, we were excited! Alhamdulillah as nothing is ours and everything belongs to the Creator. I personally was excited as it was the first time they called me to talk about fashion, trends and also the fashion designs and creations I’ve been working so hard on together with Hasanah. Naturally, I was nervous too as usual but I think we all did well during the interview. I sure hope so. 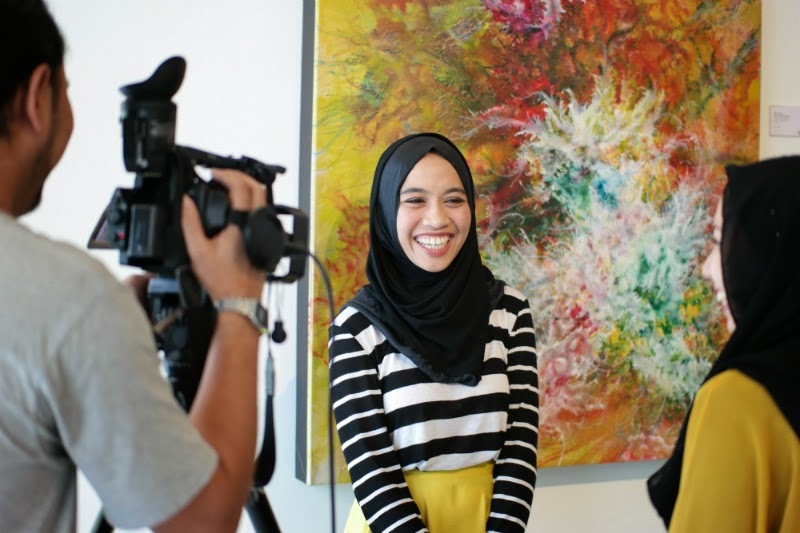 They wanted me to talk about high-waisted skirts and particularly the skirts I designed together with Hasanah Hilmi. I asked Hasanah to talk about the styling part and I spoke about the designs and the story behind the Swan and Belle skirts. The shoot was done on 9th April 2014. Dian, Hasanah and I prepared the day before and we were so happy that both Ruzana Ibrahim and Aalia Sabrina agreed to become our models for the day at the very last minute! We were lucky because both of them were free on that day. They are usually both very busy. We had a lot of fun shooting and I felt it was a really productive day. I had fun being the photographer and taking the photos too! Anyways, they said they wanted 10 looks for the shoot so we prepared 10 looks of the girls wearing Belle and Swan Skirts from ARNADIA by GAYA. Hasanah did most of the styling for the looks, brought her Paripari shawls and I brought most of the tops to be styled with the skirts. 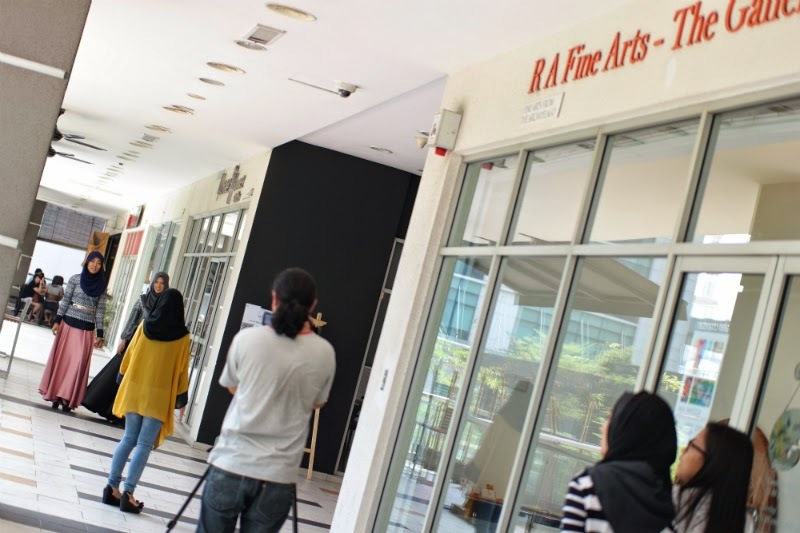 The interview was done at R A Fine Arts the Gallery at Publika and the modelling shoots were done just outside the gallery. I am not going to reveal much here of what the interview was about so I won’t spoil you. I am just going to share the pictures I took behind-the-scenes of the shoot. 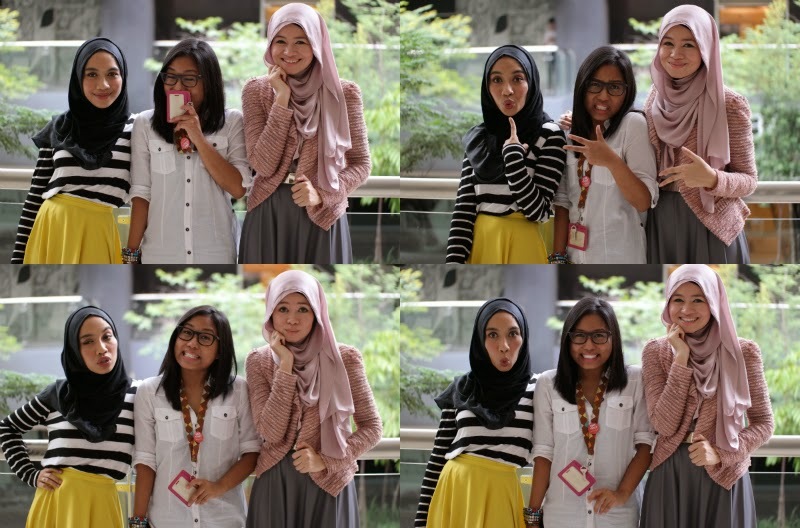 The pictures with me in it were taken by either Dian or Hasanah. Do check out Safiyya TV9 at 11.00am this Sunday 27th April 2014 and catch the show. It is GAYA’s first appearance on TV and Alhamdulillah we are very blessed for the opportunity. Thank you for inviting us to your show Safiyya! Thank you Nadeeia for interviewing us. It was such a great and memorable surprise. You can log into www.tonton.com.my to watch it!